Madison Performance Philosophy Collective (est. 2013) is an interdisciplinary assemblage of artist-scholars in the Madison, WI area. Our founding members are Erin Briddick, James Burling, Jeff Casey, Kat Lieder, Tomislav Longinović, Megan Marsh-McGlone, Jon McKenzie, Dijana Mitrović, Frederic Neyrat, Michael Peterson, Sandy Peterson, Andrew Salyer, and Katrina Schaag. Our interests and experiences range from theatre and drama to relational aesthetics to new media to political philosophy, and we are each, to varying degrees, both artists and scholars. Our April 2014 inaugural event, [*hhttp://madtheory2014.wordpress.com/ "Mad Theory,"] is co-sponsored by the international research network Performance Philosophy and the A.W. Mellon Workshop on Art and Scholarship at University of Wisconsin-Madison’s Center for the Humanities. This theory-practice symposium will be a space for the robust community of Madison performance-philosophers and philosopher-performers to showcase their current work, theorize together about the intersections between their own scholarly and artistic practices, stage philosophical discussion as performance, and generate new knowledge. It has long been argued that our earliest use of tools opened the capacity in the brain to create and employ language. When humans first began modifying objects in order to better hunt and prepare food, they developed the faculties of the brain needed for language. This argument posits that the understanding of one object in relationship to another prepared the mind to accept one symbol in relationship to another. My own understanding of posthumanism centers on this coevolution, and my performances often use tools, like knitting needles, and projection to underscore the ways in which my communication and perceptions have coevolved with my own tools and technologies. Let me speak broadly about the United States, though of course my current experience is local to Madison. I think the apprehension about, and occasional distrust of, performance philosophy in the U.S. is rooted in a culture with a strong work/play dichotomy, and a history of performance art in which it is perceived as a tool exclusively of the counter-culture. The questions of “what is this for? what is its utility?” remains paramount, and produces theatre training which teaches the status-quo and avoiding “getting stuck in your own head.” In research it leaves an embarrassed sense among theoreticians that they are at best navel-gazing, at worst wasting somebody else's time and money. The result is performance that either carefully avoids any philosophical investigation and expression, or if such a thing is attempted, a critical response which focuses more on deconstruction than engagement, dialogue and reinterpretation. There is a strong distrust of hierarchies of knowledge, which when combined with the above utility-seeking, creates a resistance to seemingly political performance art, and to philosophy as expressed through performance. This is often misidentified as anti-intellectualism, but I believe it is not as inimical to performance philosophy as it might first appear. Instead, there is fertile ground for performance in reciprocal audience-performer relationships, in which dialogue and participation are key and indeed those roles are blurred or disrupted. Community-based theatre, devised work, and issue plays are first steps from American theatre practitioners, but I see much of the energy for performing theories and ideas as happening in mixed-mediums and through mobile interfaces. Public space performances like “Red Cloud Rising,” augmented reality games in real world locations, and online/real life protests from groups like Anonymous show a strong interest in performative identity and political change through enactment and playful experimentation. The connection to theory found in these acts is interestingly non-american, and I think comparative to the early practical work of Augusto Boal, and more recently the Post-Dramatic theatre described by Hans-Thies Lehmann. That same distrust American audiences have of hierarchies of knowledge and political intention in performance art, and thus performance philosophy, makes them receptive to performance where “text” can be addressed, challenged, and subverted in the moment. Unlike Boal’s example, the means of response are new and unique, often mediated through electronic devices and asynchronous interaction. In my own work as a researcher and a performer, this has lead to older questions about ritual, presence and philosophy-as-dialogue. In spite of the challenges outlined, or perhaps because of them, I think there is a great deal of potential in return philosophy more explicitly back to an american theatre environment, and practicing theory through performance. This summer’s Rainbow Bookstore Cooperative production of Voices of a People’s History of the United States, staged at Broom Street Theatre, was a collaborative artistic and activist venture, which brought together communities from across the Madison area. Colin Gillis produced the play; Sandy Peterson and Jeff Casey co-directed; Andy Gricevich produced the musical sequences. The production featured a range of actors, some professionally trained and other who had no previous experience acting. One of the central aims of the production was to join the political resources of Rainbow with the artistic resources of the University of Wisconsin-Madison. Voices has been widely produced, often as series of successive monologues taken from the Voices anthology. The 2013 Rainbow production focused on juxtaposing and intercutting the text from the anthology. Our aim was to both highlight contradictions and create dialogue between different radical traditions of American politics. 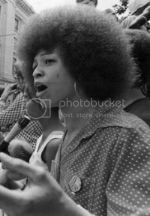 We were on the whole less interested in reaffirming the sacredness of these texts and more concerned with asking hard questions about, for example, the exclusion of women from roles of power in the American labor movement or the Black Power movement. One of the greatest challenges of this production was the lack of diversity in our ensemble. Despite a concerted effort to recruit a diverse cast, we had only two actors of color, both of whom were Asian-American. Producing a performance that purports to represent the “voices of the people” of America demanded that we include texts from historically marginalized peoples—African American, Latina/o and indigenous peoples. This imperative, however, ran up against our concerns about the long history of white appropriation. How were we going to be representative of the diversity of the American experience without a cast that reflected that diversity? The compromise we arrived at was to stage the play in a quasi-Brechtian manner. We used no sets or costumes and took care to distance the actor from their “character.” For example, Sam Christian, a talented young white actor, performed a monologue by Malcolm X. However, Sam did not attempt to imitate or become Malcolm X but simply performed the speech with conviction. Sam introduced the monologue as himself, explained why he wanted to perform X’s speech, and even expressed his disagreement with some of X’s ideas. Finally, Sam’s monologue was intercut with other monologues and he often spoke the monologue to other actors on stage, as if debating them with X’s words. The effect, to our surprise, was quite natural. Largely due to the skill, hard work and passion of the actors, the performances were emotionally affecting, even as they dispensed with illusionism. Moreover, the psychological distance, we hope, gave the audience the opportunity to critically examine the ideas expressed, while honoring these texts and their legacies. This woman, who is heard but not seen, has the power to shape the course of events onstage. Her articulation of her pain disrupts any other narrative, any other voice. Unlike the image of suffering, from which we can look away, the scream pierces our consciousness, demanding our time and our attention; we cannot close our ears. Scarry writes, “either it [pain] remains inarticulate or else the moment it first becomes articulate, it silences all else: the moment language bodies forth the reality of pain, it makes all further statements and interpretations seem ludicrous and inappropriate, as hollow as the world content that disappears in the head of the person suffering” (60). While this woman is not able to articulate much of the pain she is experiencing, she does manage to verbalize her need for assistance. And there is no response. The affective quality of her scream, of her unarticulated expression of pain, should also not be discounted. We may not, as an audience, be able to know exactly what her pain feels like, but we are, as evidenced by Leela’s response to the scream, able to feel something powerful. Sontag argues that those who view an image of suffering from the safety of their own lives, that “‘we’—this ‘we’ is everyone who has never experienced anything like what they went through—don’t understand. We don’t get it. We truly can’t imagine what it was like” (125). What Lights Out so clearly demonstrates is that we can imagine, we can feel. We just cannot fill in the details. As disturbing as this play is, it challenges us to ask the painful question, if the subaltern cannot speak, can they scream? The answer is a resounding yes, and in those screams is the potential for an affective agency that deserves a more thorough examination. Using tools of translation theory, I try to extend its reach into the realm of politics of representation and de-naturalize hierarchies offered to the contemporary consumer of news, images, and sounds. The passage to politics based on the common environmental platform would be therefore a very desirable outcome of performance philosophy, since humanist-based thought needs to confront the limits of its planetary survival away from the myths promoted by both the nationalists and the globalists in the current simulation of politics without a proper subject. The performative iteration inhering in this type of writing calls for new subjects and new becomings inherent in the task of the cultural translation. The question of translators’ identity remains at all times within the horizon of crossing boundaries between communities and their particular idioms, in displacements informing their particular routes of cultural exchange. It is also within the perspective of possible futures that the likelihood of new communities based on the experience of identity-in-translation is performed, the convergence of cultural translators outside the extensions of particular communities characteristic of the dominant experience nowadays. The World Health Organization says: “exclusive breastfeeding is recommended up to 6 months of age, with continued breastfeeding along with appropriate complementary foods up to two years of age or beyond.” Doctors and scientists say: “breast is best.” Wisconsin law says: “A mother may breastfeed her child in any public or private location.” Residents of Madison, Wisconsin say things ranging from: “Thank you for breastfeeding” to “I would throw up on a woman nursing in public” and “Why can’t mothers have some respect for others and just pump and give their baby a bottle?” Megan and Morgan Marsh-McGlone explore the question: “what is revealed when a lactating mother doesn’t cover, doesn’t conceal?” in intimate tabletop performances for an audience of one. Megan and Morgan perform in a Madison coffee shop where Megan uses a breastpump to pump milk at the table, nurses her baby, and engages in discussions with local residents about societal expectations of new motherhood, the ways we support one another in our society, and infant and maternal mortality. My research focuses on creating infrastructures for future thought, with experiments taking such forms as texts and videos, courses and certificate programs, theory tableaus and post-conceptual, post-dramatic personae. These experiments connect to long-term interests in cultural performance, critical theory, experimental pedagogy, performance design, science and technology studies, critical management studies, and cosmography. This work mixes conceptual, aesthetic, and technical practice and unfolds via: 1) the refunctioning and remediation of performative statements and embodied performances; 2) the networking of cultural, technological, and organizational performance research paradigms, as well as disciplinary fields more generally; and 3) the navigation of onto-historical formations of power and knowledge, specifically modern disciplinarity and postmodern performativity. Examples include smart media, DesignLab, and The Revelations of Dr. Kx4l3ndj3r, respectively. Other experiments can be found at labster8.net. Most of the performance artists (un)consciously and perhaps even unintentionally engage with philosophy, while many a critic uses theory and philosophy to read performances. The most fruitful solution, however, appears to be the third way: where theory and practice merge, acknowledging how mutually indebted and inseparable they are. Once she perceives the position of her own body in the system of ruthless and endless economic exchange, where does she go from there? How to take my body back? If I do not own my own body, where is my home? If I do not own my own body can I have my own ethics outside of economic exchange? If I do not own my own body CAN I BE? For me a fundamental problem is expressed by the term (question?) “art / life”, and it maps significantly if imperfectly onto performance / philosophy. Presence, co-presence, generosity, absence, mourning. How to live together and how to live in front of each other. I said in a meeting that I am afraid of philosophy, but of course I’m also afraid of performance. Talk Piece is a 40-hour durational performance conceptually located at the intersection of art, life, theatre, performance, and installation. The premise of the event was that we would have a conversation with each other that would continue until we fell asleep. We placed a combination lock on the front door of Andrew’s apartment and gave our rsvp’d guests the code, so that they could attend at any time of the day or night. The performance began February 17 2012 at 5:00pm and ended February 19 at 9:00am, when we fell asleep. Talk Piece utilized theatrical rules in a domestic environment. We placed an art frame around life, putting an everyday conversation on stage with a fourth wall spectatorship structure: as viewers entered and exited the room, we did not acknowledge their presence. “Talk Piece” investigates conversation as a form that is inherently relational and aesthetic, a work of lifelike art created between two or more people. The piece also frames conversation as theatre, a script that unfolds as it is spoken. Our awareness of our staged yet spontaneously unfolding performance drew our attention to the ways in which speech tends to be scripted by social constructs. Andy and Kate’s Dinner Party was an immersive, interactive, intimate live performance event that occurred on Thursday April 26th and Friday April 27th, 2012. We positioned the domestic environment as a stage, and presented a theatrical event in the form of a dinner party. Since we see this event as situated at the intersection of postdramatic theatre and relational aesthetics, a major aspect of the project is audience participation. On Friday night, our guests grew so lively that they seemed to become a chorus, forming a sort of call and response structure as they echoed and commented upon Andy and Kate’s monologues. Around the dinner table we explored the relational creation of group identity; the table allowed our guests a platform to spontaneously perform, whether self-consciously or unconsciously. Upon entrance to the event, guests were given a fake cocktail, suggesting that Andy and Kate were just staging a dinner party. However, the guests were next served real caviar – an intrusion of the excessively real into the imaginary. The metatheatrical exposure of props, beginning with a prop drink in the first course and culminating in a fake pudding mound in the final course, produced a series of failures of representation, mimesis, and illusion. Between courses of colorless, tasteless JELL-O and projectile peas, our guests were served a delicious meal of beef tenderloin, baby beets, and mashed potatoes. The idea was for the tension between the lifelike and theatrical elements to be irresolvable, producing a perpetual ambiguity about the line between theatre and the everyday, artifice and reality. Erin Briddick is a PhD candidate in Theatre Research at the University of Wisconsin-Madison. Her performance work often presents results of matrilineal archaeology. Her current research examines the co-evolution of humans, tools, and technology, and uses posthumanism as a lens through which to investigate performance. James T. Burling is a doctoral student in Theatre and Drama at the University of Wisconsin–Madison, where he also works at DesignLab as a consultant for new media projects. He's interested in performances utilizing virtual environments, new media interfaces, and augmented reality in performance, as well as the educational applications of theatre and site-specific learning. Jeff Casey is a PhD candidate in Theatre Research at the University of Wisconsin–Madison. His dissertation focuses on male friendship in American culture. His original play Hermetic was produced at UW-Madison in 2009. He co-directed Rainbow Bookstore’s production of Voices of a People’s History of the United States this summer. Katherine Lieder is a joint PhD student in Theatre Research and Languages and Cultures of Asia at the University of Wisconsin at Madison. Her current research interests include the ethics of witnessing and the role(s) of violence in performances in “the global south”, political performance in public spaces, and the performance of gender in popular culture in South Asia. Tomislav Longinović is a professor of Slavic and comparative literature at the University of Wisconsin, Madison. His research interests include South Slavic literatures and cultures, Serbo-Croatian language, literary theory, Central and East European literary history, and translation studies. He is the author of Vampire Nation: Violence As Cultural Imaginary. Megan Marsh-McGlone is a PhD student in Theatre Research at UW-Madison, where she also works in the department of Molecular Biology. Megan served on the Board of Directors for Mercury Players Theatre for six years and has also worked with Madison theatre companies StageQ and Broom Street Theater. Her current work focuses on lactation, medical science, and societal expectations of new motherhood. Jon McKenzie is Director of DesignLab and Professor of English at the University of Wisconsin-Madison. He is author of Perform or Else and co-editor of Contesting Performance. Jon has produced a series of video essays, including The Revelations of Dr. Kx4l3ndj3r, and gives workshops on performative scholarship and smart media. Dijana Mitrović is a PhD candidate in Literary and Theatre Studies at UW-Madison. Her dissertation focuses on the representation of the body in interwar theatre of modernism and avant-garde, while her additional interests include performance art, theory, and ethics. Frederic Neyrat is a lecturer in comparative literature at the University of Wisconsin-Madison, a French philosopher, and former program director at Collège international de Philosophie (Paris). He is a member of the editorial board of the journal Multitudes and the author of several essays. Michael Peterson is Associate Professor of Theatre and Drama at the University of Wisconsin-Madison. As a scholar he writes about performance art, popular performance, and performance and both human and non-human rights. He is a performance artist and co-director of the collaborative Spatula&Barcode. Sandy Peterson is a PhD candidate in Theatre Research at the University of Wisconsin-Madison. Her interdisciplinary dissertation examines the performance of American conservatism in the 21st Century. She also frequently works on issues of social justice and performance activism in both theory and practice. Andrew Salyer is a conceptual artist, curator, and PhD student in Art Theory and Practice at the University of Wisconsin-Madison. His current project involves a critical investigation of the structures that subtly, and peripherally, shape and construct identities with a focus on cultivated failure, disruption, humor, masculinity, minimalism, politics, power, and race. Katrina Schaag is a scholar-artist who works with text, audio, video, performance, and installation. Her artwork investigates artifice, power dynamics, and queering genders. She is a PhD candidate in English Literature at University of Wisconsin-Madison, researching performativity, plasticity, and intersections of scholarly inquiry and creative practice.